Project CARS 2 is the second installment in the simulation motorsport franchise developed by Slightly Mad Studios. 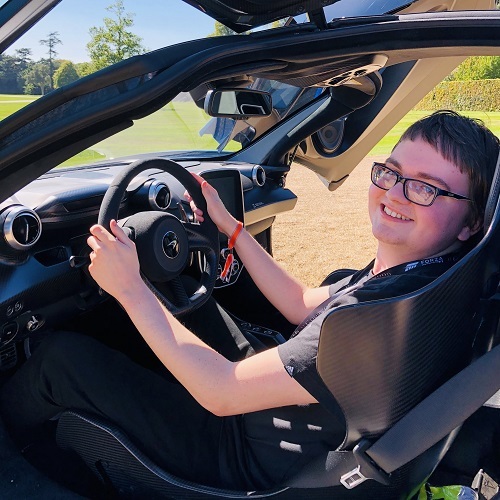 Featuring the most iconic cars under the most thrilling of conditions to deliver the ‘Ultimate Driver Journey’ experience and adrenaline rush, Project CARS 2 builds on the success and groundwork of 2015’s original multi-platform game. Project CARS 2 features the largest track roster ever seen on console, a wholly revamped out-of-the-box gamepad experience, 5 motorsport disciplines, 29 motorsport series, 180 cars from dozens of elite brands, and over 140 living tracks in 60 locations. From GT to touring cars to endurance prototypes and exotic hypercars, Project CARS 2 delivers the full spectrum of motorsport racing with complete freedom to choose what and where to drive in the conditions you desire. Race anytime, anywhere – Day or night, wet or dry. With LiveTrack 3.0, tracks dynamically transition from clean, to dirty and rubbered-in, changing the grip physics whether on tarmac, ice or dirt. Drivers can race a full 24-hour cycle with real-time vehicle, weather and temperature changes, and even across all four seasons – faithfully recreating the atmospheric conditions. LiveTrack 3.0 – Race on varying track surfaces including ice, tarmac or dirt tracks. Dynamic road surface transitions affect vehicle performance, grip, and handling in real-time with bleeding-edge tire physics and surface deformities. A full 24-hour cycle faithfully recreates the atmospheric conditions and ambience of a specific time of year, whilst dynamic time-of-day, weather and seasonal race conditions allow the tracks to change and come to life. Over 170 Cars – Discover more than 170 licensed cars from some of the most iconic brands, including Ferrari, Lamborghini, and Porsche, with all-new vehicle types and motorsport classes, including Rallycross, IndyCar, and GT Race Cars. New Handling Model – Project CARS 2 features an all-new physics and handling model, including a completely revamped gamepad handling experience designed to give you maximum feel and control. New Force-Feedback settings have been simplified and improved, offering intuitive, confidence-inspiring handling and control. 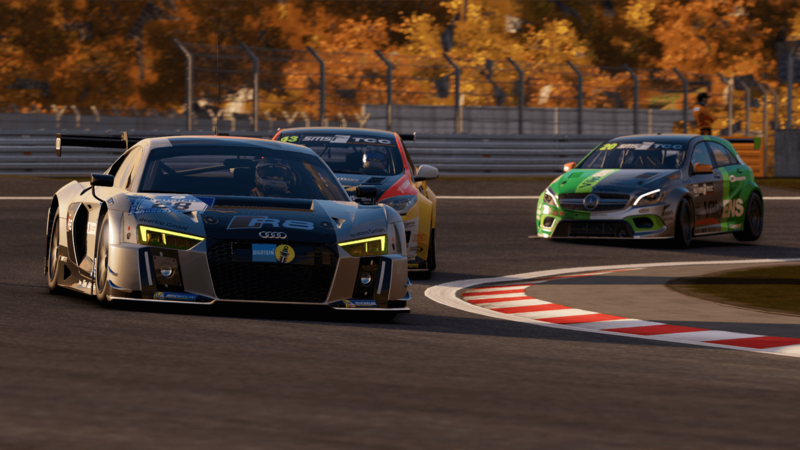 Championships – The motorsport-inspired structure of Project CARS 2’s Career Mode sees players compete in races and championships across a wide spectrum of racing. Race on tarmac-based circuits in real-world series such as the Le Mans 24 Hours, Clio Cup Touring Cars, Porsche Cayman Cup, Rennsport Revival, Pirelli World Championship, and many more. Then hit the dirt in rallycross-based series with fully-licensed WRX cars and RX Supercar Lites. Race on Ovals in IndyCars, and test yourself to the limit on specifically-made ice-tracks. Solo Racing – The Project CARS 2 Career path has been enhanced to echo the ladder of real-world drivers, offering the ability for drivers to undertake a shorter career with smaller seasons, rather than being forced to begin in the lowest tier. Discover a variety of career paths, as well as invitational events to play as of often as you want. There’s also a full secondary career path where you take on the role of a Factory Driver for over a dozen of the world’s most elite automakers, as well as improved contract offer system offering more choices for which team you wish to sign up for based on the cars you enjoy driving the most. Online Racing – Project CARS 2 offers an all-new Racing License Accreditation system that brings powerful tools to your online motorsport career, ranking both your online racing skill and craft for better matchmaking, as well as your safety rating to remove toxicity from your online racing experience. Experience online racing as you desire with new lobby options and presets that recreates different types of motorsport, including IndyCar, GT3, and Rallycross. 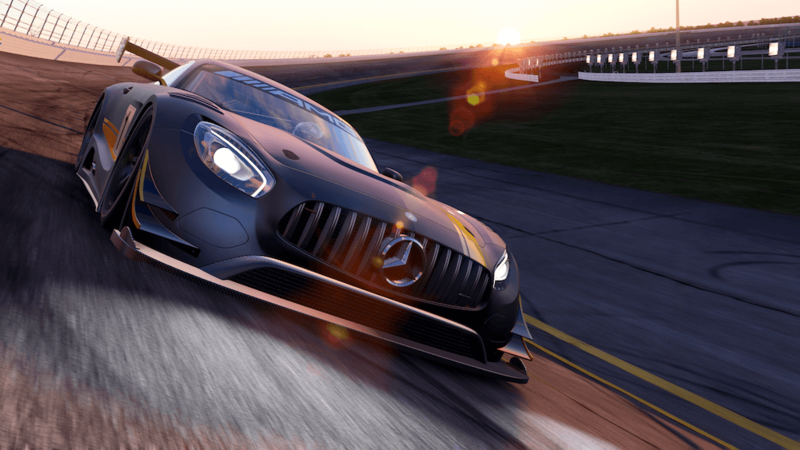 Project CARS eSports – The Project CARS franchise has already awarded professional sim-racers thousands of dollars in prizes, with partnerships with automakers and other high-end sponsors already tied-up. 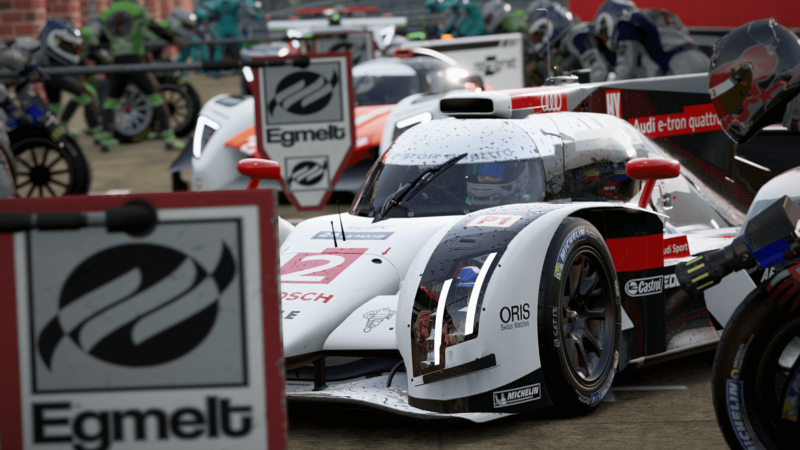 Project Cars 2 expands on this with new Director/Broadcasting functionality and livestreaming tools, as well as Online Championships to create organized racing leagues with simplicity, offering all of the tools, options, and data race organizers desire. Your Racing Sandbox – Race supercars, hypercars, classic cars, vintage cars, formula cars, karts, GT cars, LMP cars or any other through all 4 seasons of weather, rain or shine, night or day, snow or mist, or simply drift your way to driving pleasure. Project CARS 2 is your sandbox—get right in, pick any car, any location, any weather, any motorsport, anytime, anywhere, and have the drive of your life​. Project CARS 2 launched on September 22nd, 2017 for Xbox One, PlayStation 4, and PC, and takes advantage of Xbox One X and PlayStation 4 Pro with an increased resolution, as well as support for High Dynamic Range. A free demo is also available to download if you’re eager to give Project CARS 2 a test drive.